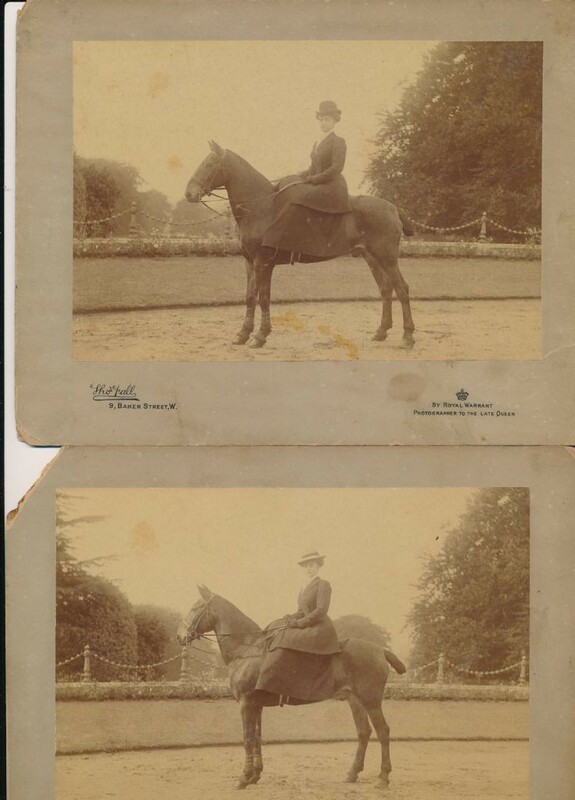 These are two pictures of Constance Dalziel, niece of Helen Colman taken at Nork, I believe in the front of the house. What looks like a chain fence (but is not really a chain) looks to be the same as the fencing visible in pictures of the front of Nork house. I guess Constance was trying out different hats. This picture was in the scrapbook of Murray Dalziel, her father. These were probably the Hackney horses bred special as carriage horses by the Colemans. I can recognize the stance of these horses.